The following fill in the blanks come from indie/funk rock band, The Lipstick Junkies. 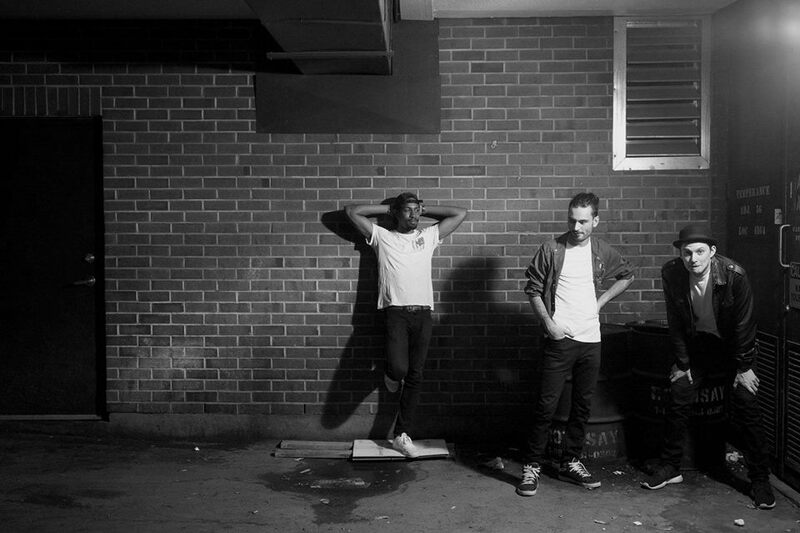 This Toronto-based trio is about to release a new EP titled New Lingo. The band formed back in 2012 and has become known for their captivating shows and unique, hand-drawn album artwork. The Lipstick Junkies released their latest single, “Boogie Everywhere,” last month. Learn more about the band from their responses and be sure to check out “Boogie Everywhere” below. Three words we’d use to describe us are….Young sick guys. We met each other….In high school, kind of. Brian and Greg had been friends for a while and started playing music together. Eventually they realized they need a drummer, so they asked Jr’s girlfriend if he could join the band; they were scared to ask him because he’s a year older and he was the prom king. The pickiest eater is….Greg. Easily. If you google wolds pickiest eater I think he’s on page 1. Result 1. The most OCD member is….Brian is our resident Sheldon Cooper (aka “cat daddy,” as he insisted). For fun we like to….Discuss fan fiction; make absurd hypothetical situations up; find terrible music on Youtube. Oh yeah and play music of course. We’re currently listening to….Disney songs, Discosis by Bran Van 3000, If I Should Go Before You by City and Colour. Also Very Good Bad Thing by Mother Mother. VEGA INTL. Night School by Neon Indian, Nujabes and the Jungle Brothers. Our favorite 90s jams include….You name it, we’re grooving to it. We have multiple playlists we make for our road trips, and Wayback Playback is our exclusively 90’s mix. Notables are B44 – Get Down, Backstreet Boys – We’ve got it going on, Soul Decision – Ooh it’s kind of crazy. Our favorite tracks to play live include….We do mean covers of I by Kendrick Lamar and September by Earth Wind and Fire. Those are always a blast for us and whoever is stuck at our shows. The first song we wrote together was….Terrible… and sucked. And we don’t even remember it. And that’s for the best. New Lingo was recorded in….Digital? No, but seriously, we got to record with Al Connelly and Sam Reid of Glass Tiger and Juno award winning engineer, Dennis Tougas. It was awesome to record with some wile vets. One thing we want you to remember while listening to our music is….That we are regular dudes making feel-good tunes. We want everyone to feel good about life. Something odd we want our fans to know about us is….We’re huge geeks about everything. We are Pokémon masters, we read comics, we can’t wait for Star Wars to come out, we like watching documentaries and learning about string theory. Heck, we even like sports in a really geeky way! We’re absolutely terrified of….Dying before Star Wars comes out, running out of beer and (still) being broke in 10 years. Our last meals would be….Beers and pizza. It’s always good. In the next six months you should expect….We have three singles from this new EP, New Lingo, so they’re all being released with some cool additional content. So keep your ears (and eyes) peeled! This entry was posted in Fill In The Blank, Interviews, Uncategorized and tagged band interview, boogie everywhere, folk indie music, folk interview, folk music, Indie, indie band, indie interview, indie music, indie-folk, interview, lipstick junkies, lipstick junkies interview, lipstick junkies music, new track, Toronto, Toronto band, Toronto music. Bookmark the permalink.